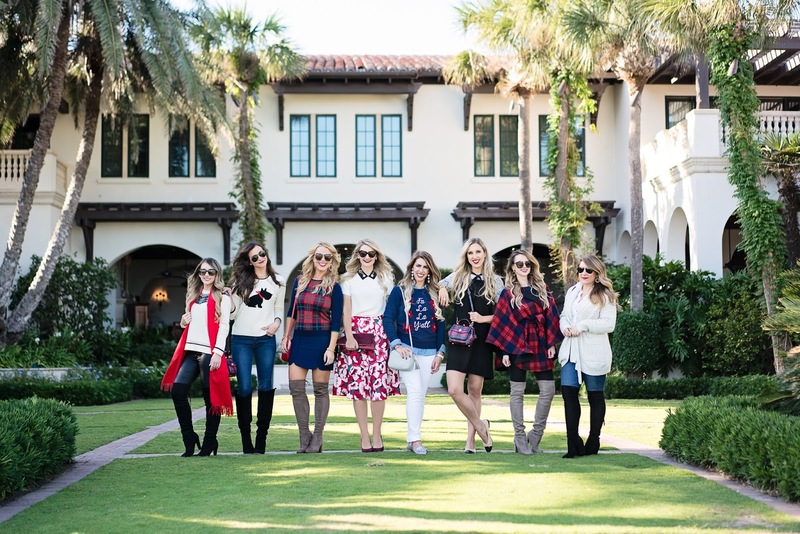 As most of you already know, I met up with these gorgeous blogger babes for a quick trip to Sea Island Resort at the Cloister. It was a fabulous trip, and we all fell in love with the grounds, the food, the staff, everything was just perfect. Did I mention our rooms were HUGE? That was a plus too! While there, the girls and I had the privilege of partnering with Draper James; Reece Witherspoon’s adorable new clothing line, to show off their new Holiday Collection. Let me tell you, its a good one folks! I absolutely love all of the designs and prints. I instantly fell in love with this cape the second I saw it. I knew it had to be mine. The print is just to die for, and I love that I can hide my hot chocolate belly under it all day. The material is very high quality, and something that will be sure to keep you warm on cold winter days. 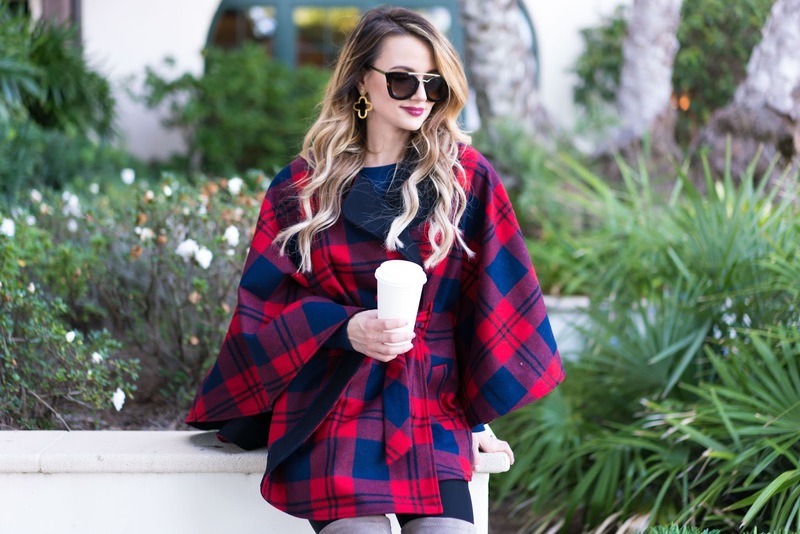 If you would like to see close ups of all of our outfits, make see to check out the Draper James blog for outfit details and why we chose these gorgeous pieces. Now, if you love this collection as much as I do; then today is your lucky day! Draper James is giving away TWO $250 gift cards to shop their site! See rafflecopter below for entry. Good luck! !